No Super Bowl is complete without a six pack of Budweiser. 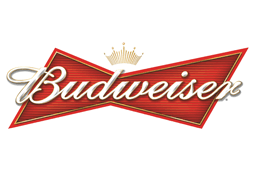 Budweiser is owned by Anheuser-Busch, a Belgian-Brazilian brewing and beverage mega-corporation controlling 25% of the global market share and 50% of the American market. So next time you pop the cap off of your beer, remember that your $5 contributed to the 43.2 billion dollars in revenue the company declared in 2013. No biggie! Cheers! Of course, no Game Day is complete without a Budweiser Super Bowl commercial! But you came here for commercials, right? Check out our roster of the top 10 Best Super Bowl commercials of all time!